Leasing Private Lands and Improving Public Access. Click the tabs below to learn more about the Open Gate program. Open Gate is a program that leases private lands to improve public access for hunting, fishing, and trapping. Landowners voluntarily allow public access to their private parcel for specific outdoor activities. Participating landowners may also provide right-of-way access to public lands with limited access. Open Gate additionally works with cooperating State and Federal agencies to develop access in areas where needed. Properly-licensed sportspersons may access Open Gate properties during established season dates and times at no charge. Open Gate leases are funded exclusively by hunters, anglers, and trappers through the purchase of the Habitat Management and Access Validation (HMAV). Please visit the Property Access tab for information on accessing and using Open Gate properties. Visit the Property Locator tab for an interactive map showing available Open Gate properties with links to property details and permitted activities. Let us know about your Open Gate experience by visiting the Rate a Property tab. Private landowners receive access payments, limited liability protection, and other benefits in exchange for signing a flexible hunting, fishing, or trapping lease through Open Gate. 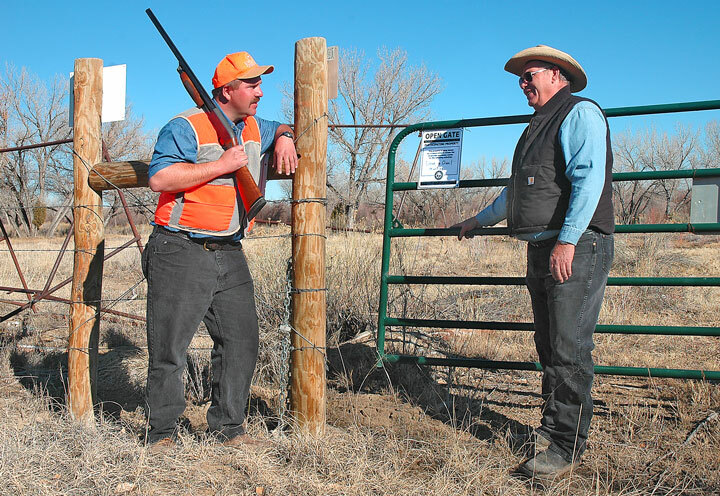 Participating landowners also help enrich New Mexico’s outdoor heritage by opening their gates to public access. If you are a private landowner interested in Open Gate, please visit the Landowners tab. For more information call the NMDGF Information Center at (888) 248-6866. Properly-licensed sportspersons may access Open Gate properties during established season dates and times. Open Gate gives back to the sporting community by using a portion of the proceeds from the Habitat Management and Access Validation (HMAV) to improve access for the hunters, anglers, and trappers who purchase this validation. Therefore, no additional charge or permit is required to hunt, fish, or trap on an Open Gate property. Landowner permission is not required to enter Open Gate properties. The entrance to all participating properties will be marked with a sign similar to the illustration below. Open Gate properties are not open for target practice, camping, or non-permitted activities. Visit the Property Locator tab for an interactive map showing available Open Gate properties with links to property details and permitted activities. Have you already visited an Open Gate property? Let us know about your Open Gate experience by visiting the Rate a Property tab. 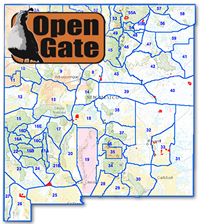 The interactive map (below) is designed to help hunters, anglers, and trappers find suitable Open Gate properties. Click on a property outlined in red to display a pop-up window of basic information, permitted activities, and clickable links for further details including directions. (Supported browsers include Chrome, Firefox, Safari 3+, Internet Explorer 8+). Click to reload map below if borders or tools are missing, or view mobile map in a new browser window. Click to reload map above if borders or tools are missing, or view mobile map in a new browser window. Click on a property to display a pop-up window of basic information, permitted activities, and clickable links to details and directions. Click to display GMU details and links to hunting and licensing information. The Query Tool selects Open Gate properties based on activities and areas of interest. Click the icon and select a question from the list. If prompted, enter relevant information into the search box. Click at the bottom of the box to display a list of properties matching your criteria. The selected properties will also be displayed in purple with a blue outline on the map. 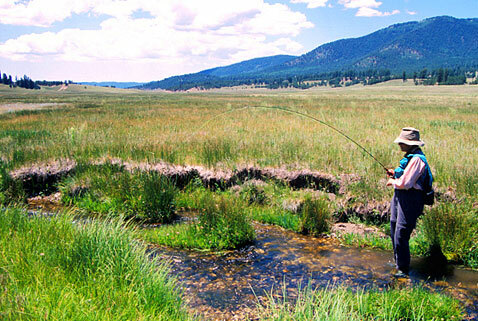 The New Mexico Department of Game and Fish has long recognized the important role private lands play in promoting New Mexico’s outdoor heritage. 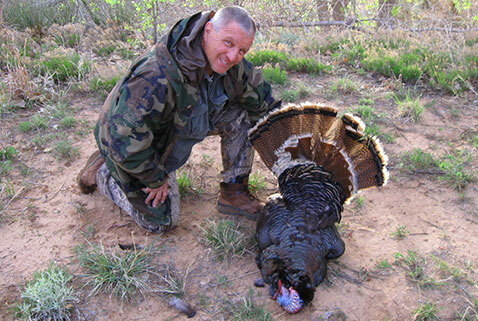 Private landowners promote New Mexico’s outdoor heritage by opening their gates and providing quality outdoor recreation opportunities for hunters, anglers, and trappers. Proper management of private lands also protects our fish and wildlife resources ensuring they can be enjoyed by current and future generations. Open Gate is a voluntary leasing program that provides incentives to private landowners who open their property to improve public access for hunting, fishing, and trapping. Private landowners receive access payments, limited liability protection, and other benefits in exchange for signing a flexible hunting, fishing, or trapping lease. Participating landowners may also receive technical guidance and funding to help manage fish and wildlife habitats to improve future hunting, fishing, and trapping opportunities. Access payments are based on various criteria including a property’s location, acreage, type of wildlife habitat (based on computer analysis), and hunting or fishing opportunities permitted. Click the link below to view current access rates. Be aware that all rates are subject to change without notice. State law provides limited liability protection to landowners and lessees participating in Open Gate under the terms of Statute 17-4-7 NMSA 1978 . All properties are posted with rule and guidance signs to manage public access. Vehicle travel is restricted to designated roads only; off-road travel is only allowed on foot when permitted. Open Gate properties are closed to camping. NMDGF Conservation Officers also include Open Gate properties in their regular patrols to help ensure that public hunters, anglers, and trappers comply with property rules and state regulations. Private landowners will have flexibility to determine permitted activities, legal species, and access dates when allowing direct public access to their property. Landowners may enroll some or all of their property. There is no minimum or maximum number of acres that may be enrolled. 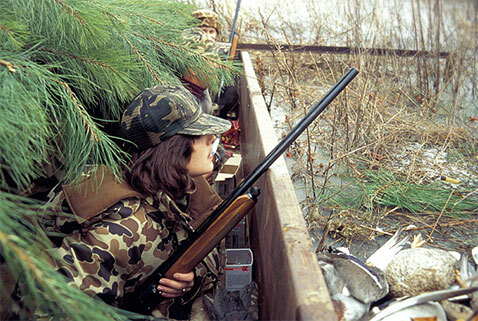 However, lands or waters eligible for enrollment in Open Gate must be capable of supporting a hunting or fishing lease. Once enrolled, participating landowners are also eligible to receive technical guidance, additional funding, and cost-share assistance for projects that improve habitat and hunting, fishing, and trapping opportunities on their property. Participants providing right-of-way access to public lands will be able to work with NMDGF to determine roadways and access points that mutually meet the needs of the private landowner and public sportspersons. Applicable public lands include State Trust and Federal lands that provide excellent hunting, fishing, or trapping opportunities. Participating landowners are not required to hold a government lease on the public lands to which access will be improved. There is no minimum or maximum right-of-way length. Does your property provide quality hunting, fishing, or trapping opportunities? Can you help improve access to public land with restricted access? 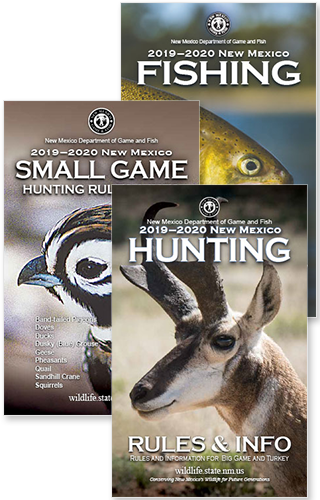 The New Mexico Department of Game and Fish is accepting applications for the Open Gate program. Open Gate Access Agreements (leases) generally last one year; however, longer-term leases may be available. Landowners can withdraw from a lease at any time, but payments may be prorated. A legible map showing the property boundary. Consider a 1:100,000 scale BLM land status map (easily obtained from BLM offices), USGS map, or an aerial photo map (from Google Maps, etc.). If a lessee wishes to enroll a property in Open Gate, a copy of the existing lease with a notarized and signed statement from the landowner authorizing Open Gate participation is required. All properties are subject to evaluation by NMDGF to determine if the lands or waters qualify for enrollment. Once your application is received, a representative from NMDGF will contact and work with you to complete the review process. Leases are offered to qualifying landowners annually until all available funds for the current year are expended. Open Gate leases are funded exclusively by hunters, anglers, and trappers through their purchase of the Habitat Management and Access Validation (HMAV). For more information call the Open Gate Program Coordinator at (505) 476-8043 or the NMDGF Information Center at (888) 248-6866. Let NMDGF know about your Open Gate experience. Please take a moment to anonymously rate the Open Gate properties that you have used. Open Gate depends on voluntary feedback from hunters, anglers, and trappers to ensure that each property is providing an enjoyable outdoor experience. We know your experience can differ each time you go afield, so be sure to provide a separate rating each time you visit an Open Gate property. Simply click the Rate button below. You will see a short online survey that allows you to provide feedback. Additional instructions are provided on the survey form. Unsure which property in the list below you visited? Simply visit the Property Locator tab.